Please Credit Photo: Katherine Jimenez. Courtesy of Ailey Extension. 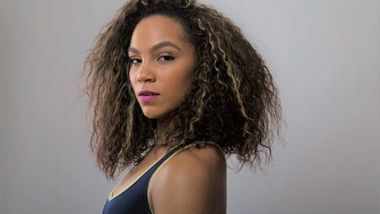 Born in New York City, Katherine began her dance training at The Ailey School in the Junior Division at a very young age. Soon after, she continued on scholarship at the Professional Performing Arts School and The Ailey School Pre-Professional Division. While at Ailey, she had the opportunity to work with prominent teachers, choreographers, and dancers from around the world, though never forgetting her first love, Mambo. At the tender age of 7, she began training and studying with renowned masters on NY Style Mambo. After years of training and competing at world class competitions, she began to tour around the world performing and teaching Mambo workshops. With over 10 years of experience, Katherine is able to break down complex patterns so that everyone can understand them while teaching traditional technique with contemporary style.